That is a tank sitting in the Empire starting zone of Nordland. It hasn't moved in almost two years (and not a spot of rust anywhere!). First, the opening cinematic features a massive city siege set upon by all manner of siege vehicles and flying machines. This is classic Warhammer, armies marching on armies, siege engines included. Secondly, Mythic's prior game, Dark Ages of Camelot featured fully intractable and movable siege engines. WAR features static pads that siege engines can be placed upon (if they haven't been destroyed). 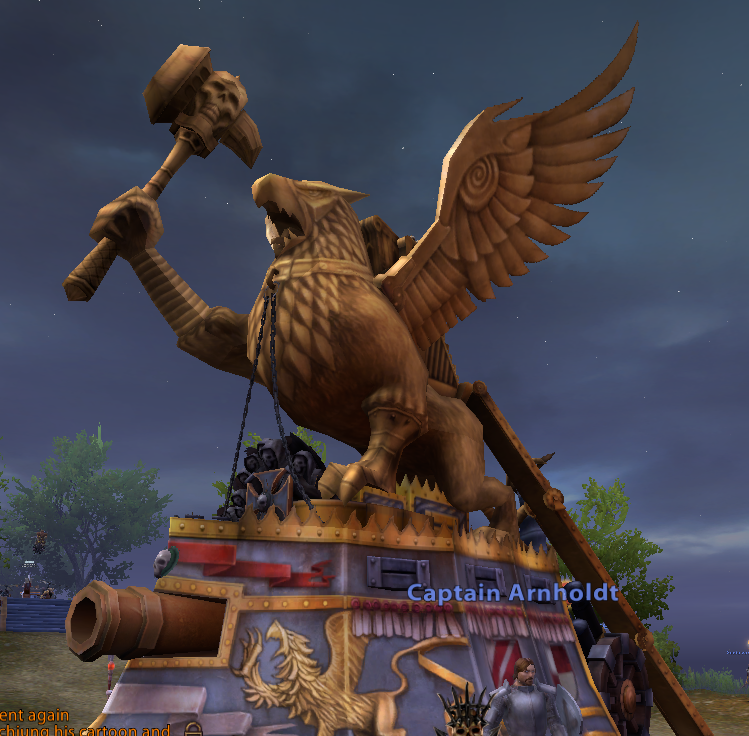 WAR received a very gimped version of a tremendously popular feature of DAoC. Warhammer Online: Age of Reckoning is a good looking game. The world and environments are amazing. The set pieces within are saddening to see, relegated to on lookers remorse. With that said, WAR does do better than a lot of games that feature a world full of blocks and hills. Still, I believe this is another missed opportunity in the development of WAR. Come back for the final day and my conclusions tomorrow. Hurry, Get an Allods Online Beta Key!